An easy to use interface literally turns your PC (or Mac) into an Amiga and you can start the games by a simple mouseclick. 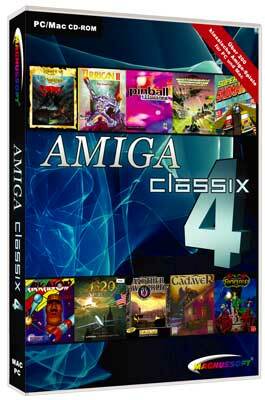 GO RETRO - with Amiga ClassiX 4, the ultimate Amiga Games compilation! See also: Amiga ClassiX 2, Amiga ClassiX 3, Amiga ClassiX 5, Amiga ClassiX Gold, C64 ClassiX, C64 ClassiX Gold, C64 ClassiX 2 and Retro ClassiX.